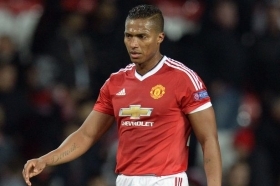 Manchester United skipper Antonio Valencia is reportedly keen on parting ways with the Red Devils in the New Year after falling out of favour under Jose Mourinho. Valencia presently has seven months remaining on his existing deal with the Old Trafford outfit, although the club have the option of a one-year extension. According to The Mail, the 33-year-old is said to be mulling over a fresh challenge away from United after experiencing a difficult first half to the ongoing season. Valencia has failed to make a single league appearance since September and in between this, there has been talk of a rift between him and Mourinho which has hampered his gametime even more. The Ecuador international is said to be attracting interest from numerous clubs outside of England but he could yet remain in the Premier League with West Ham United probable contenders for his signature. Valencia has managed just seven appearances for United this term with Ashley Young and most recently Diogo Dalot featuring ahead of him in the right-back position.